*Complimentary false lashes included for bride only. Luxury Lash Upgrade: $25 additional. Extensions : Price varies depending on length of hair and complexity of hairstyle. All services include all labor and transportation (within 15 miles from school). All prestige product is utilized during application. 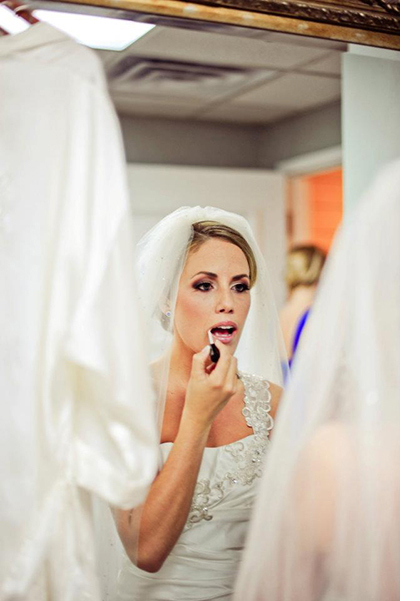 To secure a time slot for your wedding date, a 50% deposit is required of your estimated total (including all parties needing makeup / hair services). MILEAGE: $.60 per mile for destinations greater than 15 miles from school for all artists needed to accommodate your party and/or your timeline. *Please contact directly for all information and booking regarding multiple event and/or destination weddings. EARLY START TIME FEE: For weddings or bridal events that require a start time earlier than 5am, a charge of $50 per hour per artist will be added to your total balance. To book your appointment, please pay the non-refundable deposit then contact us here. We will email you promptly to confirm.